How to Improve Your Student’s Ability to Think? When Choosing Wrong Answers Can be Right. When Choosing Wrong Answers Can be Right! Why Should We Be Concerned. 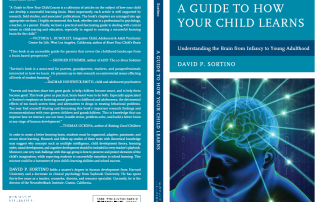 Dr. David Sortino holds a Master’s degree in Human Development from Harvard University and a Ph.D. in Clinical/developmental Psychology from Saybrook University. In addition, Dr. Sortino holds learning handicapped, resource specialist and multiple subject teaching credentials and consults with parents and schools in the areas of achievement motivation and school success. Moreover, his workshops and talks are designed to provide parents and teachers with up-to-date research concerning The Child’s Learning Brain. For additional information please contact: davidsortino@comcast.net or 707-829-8315 (office) or 707-480-1649 (cell).